I’ve never been much of a baker. However, now that we have our own home, I am trying new things. I am so excited to share a fun recipe that both and adults and children will enjoy! Have you tried Mint Chocolate Swirl Brownies? My son and I have been in our new home for about a month and a half! I feel like there are a few little things I still need here and there, but overall, I feel completely at home! That seems to be all that matters to me. I love the name brand hazelnut spreads but I rarely partake in them because I know they aren’t the healthiest. There are rare occasions that I like to indulge, so I tend to buy a jar to enjoy with fruit. However, did you know there is a better option? I am so excited to share the guilt-free hazelnut spread with you! Yes, a product does exist! You can still enjoy a sweet treat! 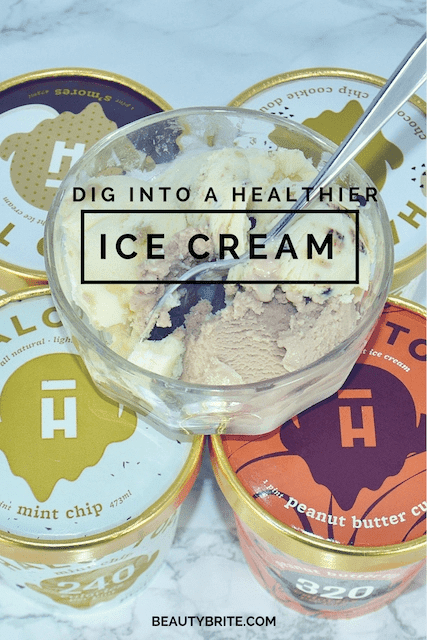 I bet reading the title of this post, made you either think, “Yeah right,” or “Let me get my spoon.” Regardless, of which camp you fall into, you can dig into a healthier ice cream with Halo Top.